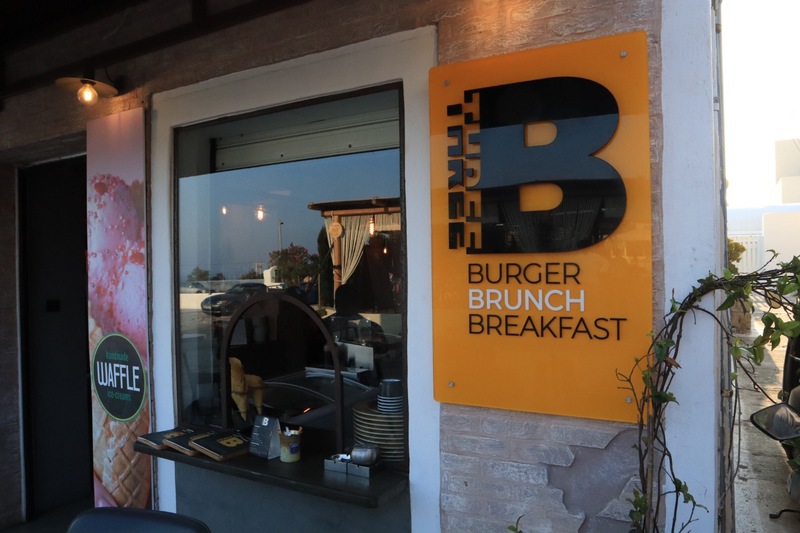 The three B’s of the cafes name refer to Burgers, Brunch and Breakfast. So, if you want a light breakfast, brunch or burger you may want to check out this casual cafe. There is a small seating area directly in front of the eatery that faces westward. So, if you go in the morning and want to sit in a shady area, sit at one of the raised bistro tables directly in front of the cafe. Across the street there is a lightly covered area where you can also sit to eat. I can vouch for brunch. During brunch, you should order a freshly perked cup of coffee which is rich and full-bodied. You should also try their fresh-squeezed orange juice which is filled with pulp! 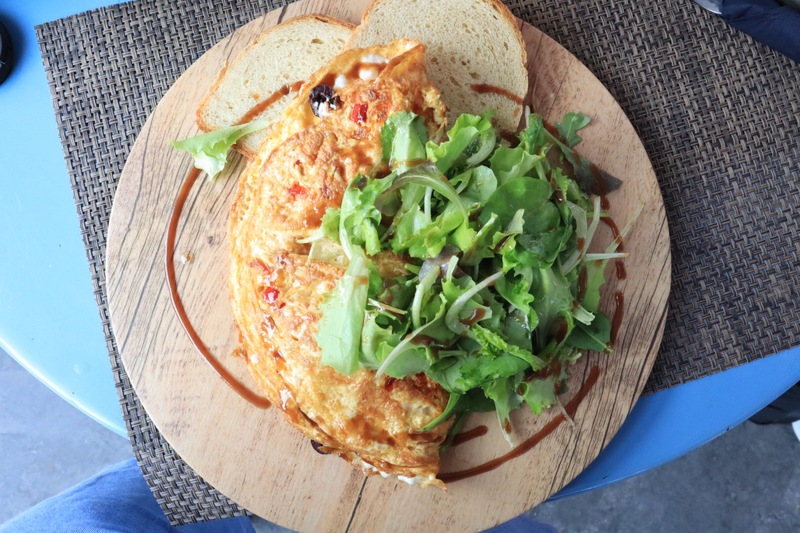 I chose the Greek omelette, what else? It comes with delicious feta cheese, olives and tomatoes served with a side of arugula and a slice of peasant bread. It came artfully served on a round, wooden slab with a circle of balsamic vinegar. For a low-key brunch in Satorini, head to the Three B cafe. It’s definitely worth a try. For a more upscale dining experience in Oia, Santorini, check out The Sphinx Wine Restaurant. ← Sunset in Oía, Santorini, Greece: The Lowdown!